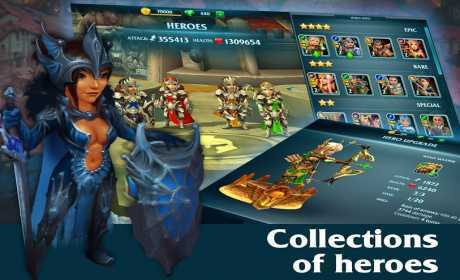 Forge of Glory is a new rpg match 3 puzzle game with an amazing 3d graphics and powerful magic heroes, summoners, dragons, monsters, mages and warriors. 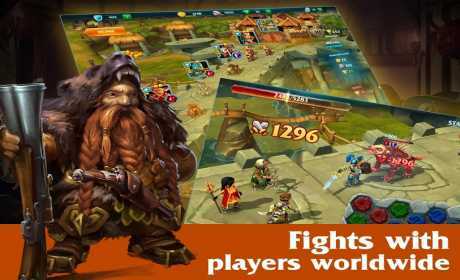 Fight for your empire in this free mmorpg pvp game and become real magic hero in this amazing 3d fantasy world. Welcome to the world of great empires, epic wars, ruthless pvp online battles and interesting match 3 quests. Summon dragons, army of heroes and monsters. Clash with other summoner’s empires in epic wars, pvp fights and online pvp battles. Complete different match 3 puzzle quests and find treasures. Use magic and powerful cards, connect puzzles and use dragons to crush enemy empires in this free mmorpg match 3 puzzle game. Explore mysterious dungeons and fight dozens of different monsters: pass through skeletons, try to avoid butchers’ axes, dodge hell knights’ fire and defeat the trolls! Open new regions, charge your magic heroes and rush dangerous bosses for rewards in this pvp mmorpg game with epic battles. Choose your own game of war and magic strategy to raid other summoners and seize their treasures in this wars. Find your strategy in guild online battle games. Clash with other clans, build a town and turn it into an impenetrable fortress with strong defense. Summon rare monsters, puzzles & dragons, train them and use their magic abilities to protect your castle during clash of guilds in pvp online battles. Use magic soul stones to summon warriors, rogues, mages, and archers with special roles and unique fighting and defense skills. Forge of Glory is a free mmorpg match 3 puzzle game with pvp battles that require great strategic skills. In this 3d multiplayer strategy game you can build your own army and summon powerful heroes for the great wars. Take part in online pvp battles, game of war and magic. Use puzzles to summon mighty guild monsters and dragons. 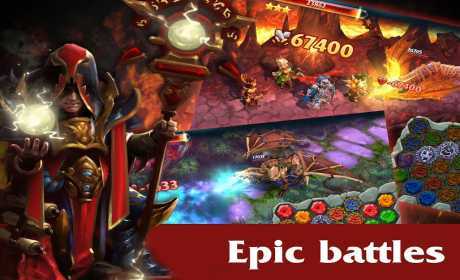 Take part in epic magic wars of mighty empires. Find secret match 3 quests and get a set of epic armor and weapons for your army commander. Start your enthralling adventure and online battles and prove your bravery in legendary wars! Summon your army of magic heroes and get ready to enjoy the most challenging match 3 puzzle role playing pvp game you’ve ever played!